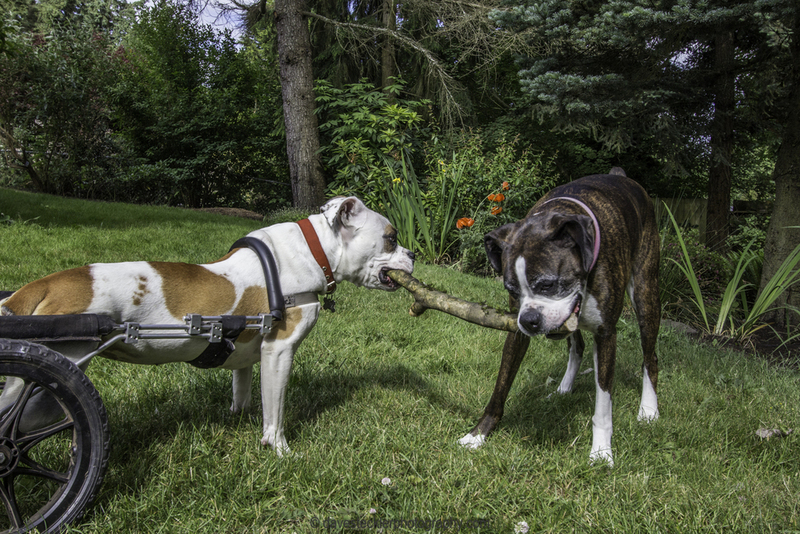 Lenny and Lalia are very sweet and affectionate Boxers. Mom, Julie and Dad, George are wonderful and caring people who not only love and care for their own dogs but also provide foster care to dogs in the Northwest Boxer Rescue program. It was a good deal of fun getting to know Lenny and Laila while following them around the back and front yards and seeing where they like to play. I also got to meet Holly who is one of the rescue pups who was badly injured and uses the "wheel chair', to help her get around, she is a very nice girl too!